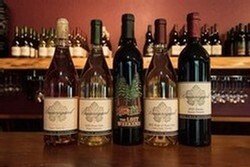 Sample small batch, handcrafted Pinot Noir, Chardonnay, Zinfandel, Cabernet Sauvignon, and many more while enjoying the rich history and fun atmosphere of our rustic tasting room. Our tasting room is a family friendly environment, but sorry, no dogs are allowed on the property. Groups of 10 or more please call for a reservation. 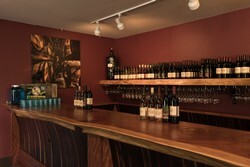 Join us at our beautiful redwood bar for your wine tasting experience. Group (6 or more) and private tastings available by reservation only; inquire for rates.